Up Yours Prohibitionist Scum! I support Treehugger MP on Northland Cannabis trade. Shock Horror! I have found a reason to support a treehugger! “Maori in regions where jobs are limited who are growing and selling cannabis to keep their whanau fed shouldn’t be punished for their entrepreneurship, Green Party co-leader Metiria Turei told Maori TV on Monday night. “It has become an income supplement for whanau particularly in rural areas where they have very little income and few job prospects, particularly in the back blocks, and we have to very careful how we manage that,” Turei said on the Native Affairs show. “There are some real skills there, some real entrepreneurial skills and some real horticultural skills. These are the skills that people have and they are trying to do the best for their families to make a sufficient income and they are under threat all the time but there are few choices that they have,” she said. What are the “real horticultural skills” Turei is talking about? I guess this involves taking a cannabis seed, germinating it in potting mix in a yoghurt pottle, transplanting, feeding, watering, and harvesting. Anyone who has a vegetable garden could grow cannabis. Without doubt this is one of the most sensible opinions I have ever herd from a rabid Greenie. I must congratulate Green Party co-leader Metiria Turei for her brave and absolutely righteous statements against the persecution of Pot growers and dealers. That her comments are creating a stink among the ignorant and bigoted supporter of Cannabis prohibition is a testimony to just how small minded and nasty many people are. The truth is Pot is much less dangerous than Alcohol and it is the very height of bigorty for the wowzers to condemn Pot yet reach over and put a bottle of wine or a box of beer into their trolley. These Hypocrites who have no conscience about using Police brutality to impose their Nasty bigotry upon others disgusts me to the very core! They pretend that Legalisation will bring the sky down upon our heads! It matters not that their oppression destroys much more families than drug abuse ever could. It matters not that the Police could concentrate on catching thieves and violent offenders. What matters to these Nazis is that the state makes Pot users suffer for thier defiance. I must confess to virtually *hating these Anti-freedom and oppressive scum! * May God forgive me. They are the lowest of the low. They are in fact *Criminals* because they support the violation of other peoples rights and liberties. They support Bad Law and tyranny. Hate to break it to yall but everyone is smoking up a storm! New Zealand Top’s the world in Cannabis use… in spite of your Nasty War on Drugs! Prohibition has not stopped anything! You simply waste Police time and Taxes. You must be some of the stupidest, Pig headed, and most malevolent people on earth! Previous Post“Why I am Not a Communist” by Bertrand RussellNext PostLooking Forward, not Backwards: Dynamic Culture vs Stagnation. Why British Colonisation was good for Maori. Fascist cops come to your home after a serious incident resulting in a two week stay in hospital, and weeks with leg elevated, for the father of the house, they arrive before the ambulance. Because a member of the household is accused of stomping on the patients foot, he is arrested and taken into the police station. No search at the time, as the accused is wearing the shoes he is said to have committed the alleged offense in. Police on going back to station look at the accused info, and see he is to be interviewed by police from another area, regarding his fingerprint on a shade used for growing inside. This had been some years in the past, and police in other area had already talked to the accused over the phone. 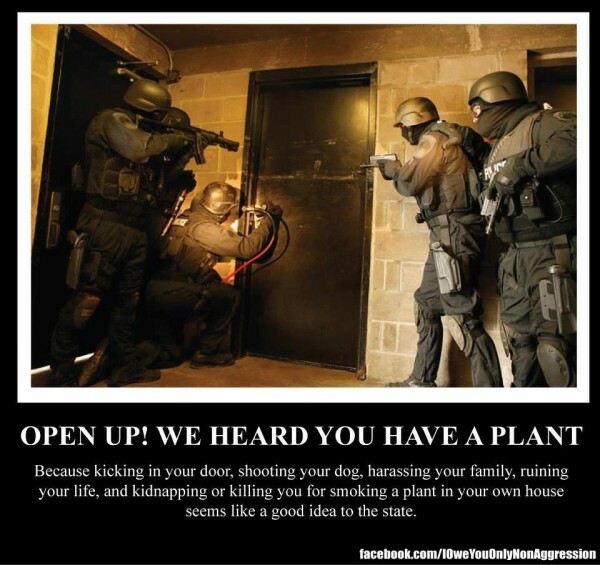 Deciding they had missed out on a possible bust, they decide to ignore the law, not get a warrant, as they did not have just cause, but come back and search without permission. When permission is refused by householder, it is ignored. Resulting in said householder to be locked up over the weekend in the crappiest place, reminiscent of Schapelle Corbys abode, and starved. Resulting in a loss of 2 kilos. I wont tell you the rest but I can tell you that happened to me. That is one of the reasons I despise these thugs. I could write a lot more about the amount of abuse and corruption that me and my husband suffered we were not even known to these pricks. Guess what the person who committed the assault got found not guilty because of the pathetic police case. 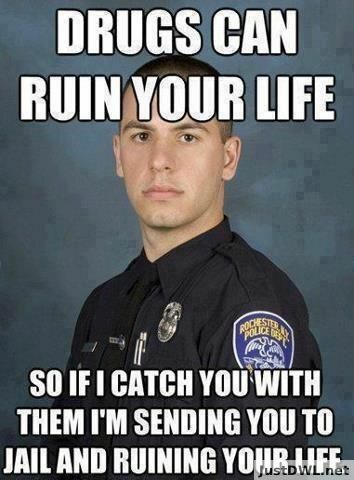 Also charges were laid against him in regard to the weed, but they dropped them… Typical don’t you think.